Designed for small to medium sized modern flat screen TVs up to 42 inch with a maximum peak weight of 15kg. The TS600 is our most compact lift and only requires a minimum 500mm build in height making it ideal for smaller screens The lift offers an incredible lifting stroke of 600mm travel and also boast an extremely low profile at only 45mm deep this allows cabinet makers to keep the height and depth down when required making this lift usable for installation almost anywhere. The TS600b Lift is suitable for many other applications where a lift mechanism is required and can be set to operate as a lifter or upside down to lower and also horizontally making it an ideal furniture lift, ceiling lift or even a horizontal picture slider allowing your TV to be concealed in multiple ways when not in use. It comes as standard in raise mode but full instructions are included to configure the unit to lower. The Venset range of lifts can be used for all kinds of projects and are often used to lower microwaves along with other kitchen appliances from cupboards or raising them from kitchen counters / islands. The design of the lift allows the user if required to adjust the total stroke of the lifting action up to a total maximum stroke of 600mm the total stroke can can be adjusted this allows the installer to finely tune the total height that the lift comes out of the cabinet, extremely handy if you are planning to fit a base board. In addition the lift features an anti-squeeze safety mechanism if the moving parts of the lift meet an obstacle in moving operation the lift will stop and reverse. The Venset TV lift comes with an RF remote control system and a single key fob remote handset. You do not need to be in the line of sight for the remote to work and the receiver can be concealed within the cabinet, a manual panel mounted rocker switch is also provided. 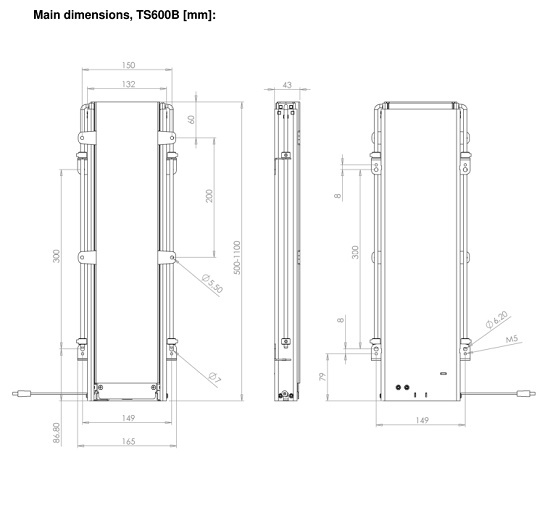 The Lift is suitable for all vesa mounting patterns from 100 x 100 up to a maximum of 200 x 200. Everything required is in the box except for the mounting bolts required to fix your TV to the Lift. maximum screen size up to 42"
We bought aVanset 600/recently. Very happy with it and prompt delivery and a minor issue sorted with good advice willingly given. Works well, easy to fit, though needs two people to hold and fix TV. Good value. I wanted a lift to lower my 40\" tv from the ceiling from my loft into my bedroom and it works perfectly im really pleased with it.it took about 3 hours and some carefull measuring and cutting but found it fairly straightforward to do i just mounted the tv and lift on a piece of 1\" chipboard that i had previously fixed securly in my loft vertically to the joists and rafters then built a box around it and all works a treat. I have no special training on the installation as im a plumber by trade it just takes a bit of common sense and planning. Now my bedroom looks like something out of mtv\'s cribs!! I have ordered a pop up mechanism bracket TS600B. I need a 200x200 mounting plate and mounting bolts. How do I order those. Can,t see anywhere on your Website? Thanks. Hi Helen The 200 x 200 mounting plate is included with the TV lift pack and will come in the box with everything else. Can you tell me the height of cabinet needed to store this lift, model TS600B? Does this device have IR or RS232 Control? 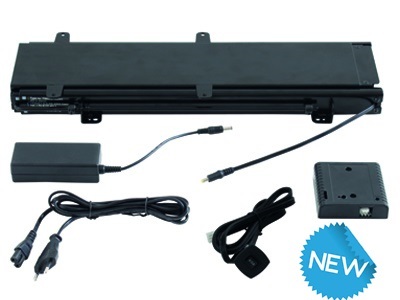 Hi there is an optional IR kit that can be ordered with this lift.